Massive congratulations to Jack Trigger of Trigger Racing and Concise 8 over the past few months. Having taken over as skipper of the boat early in 2018, Jack and the occasional crew have achieved some stellar performances. 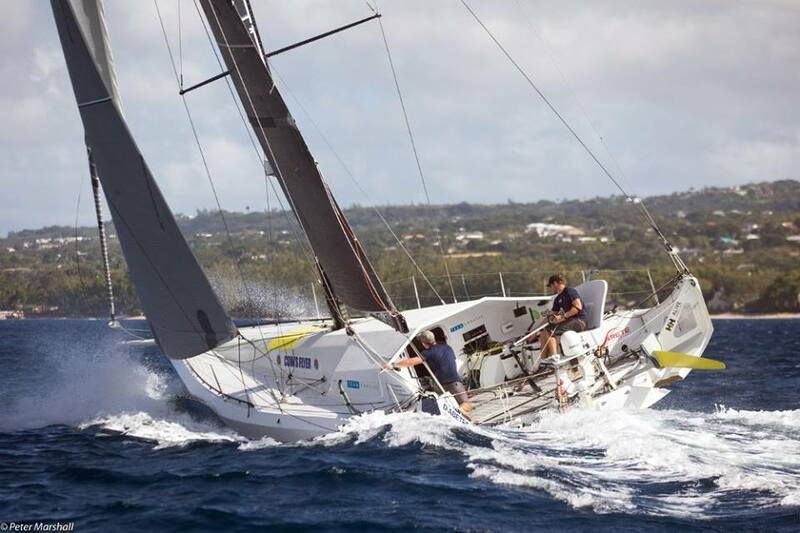 Most recently, he and co-skipper Ned set two records in the Round Barbados Race; the 40ft record that has stood since 2011 as well as the double handed record. The 2018 Route du Rhum resulted in a credible 8th place having tackled several challenges along the way, ensuring that he secured 4th place overall in his debut Class 40 season. 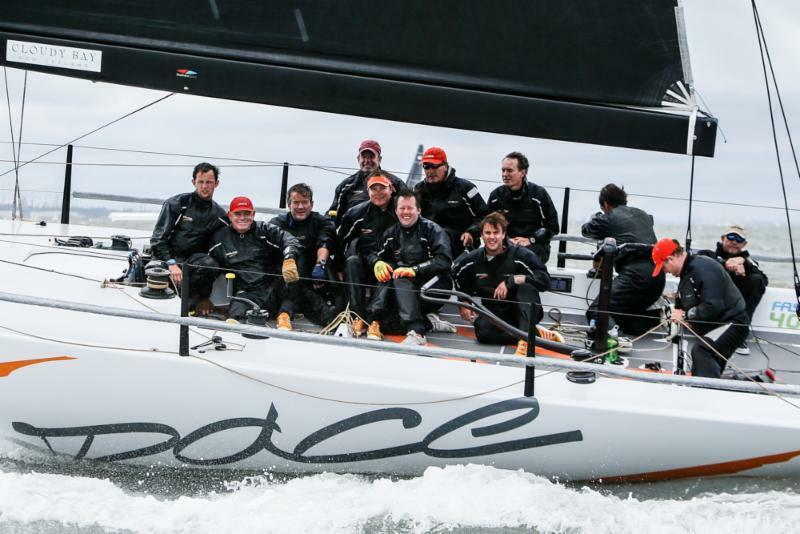 Earlier in the season the team were second across the line in the RORC Round Britain and Ireland Race as well as being the first Class 40 in what was a tough and generally very light wind Round the Island Race! Photo Credit: Trigger Racing Facebook Page"
Ker Yacht Design founder and principal designer, Jason Ker, was awarded the honorary degree of Doctor of Maritime Studies by Southampton Solent University in July 2018. Following the awards ceremony, Jason said: "I’m absolutely honoured to receive this award. Solent [University] gave me a fantastic grounding in engineering that has allowed me to develop my skills and keep learning throughout my career. It’s amazing how the lessons I learned over 20 years ago still form so much of what I know today." 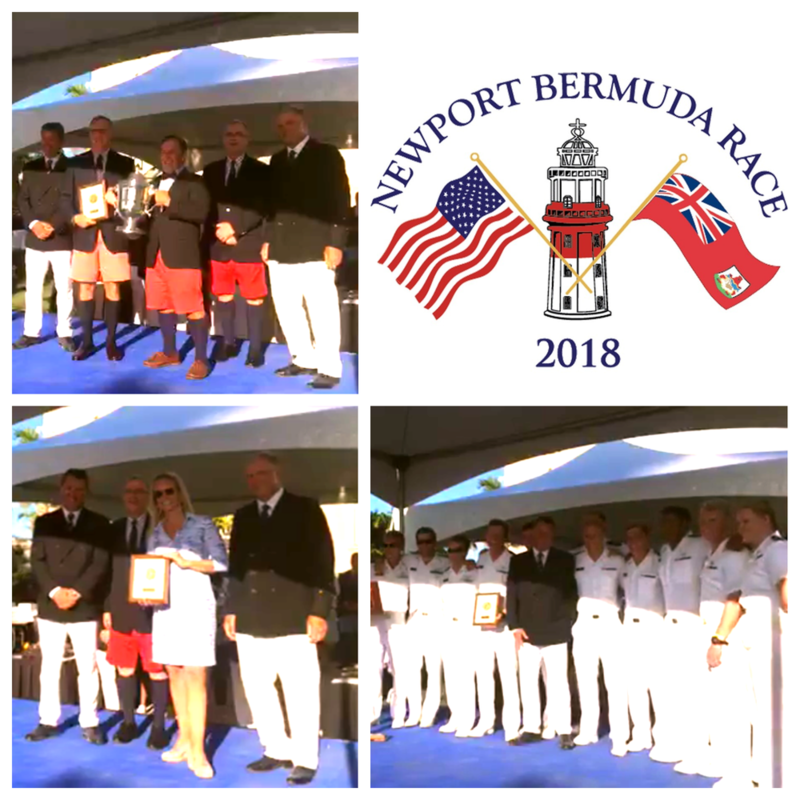 A huge congratulations to the owners and crew of Christopher Dragon a Sydney GTS43, Temptation a Ker 50 (A team from Oakcliff Sailing Academy), and Wahoo a Custom Ker 50 for finishing 1st, 2nd and 3rd in the St. David's Lighthouse Division for the Sir Thomas Lipton Memorial Trophy, dominating their class at the 2018 Newport to Bermuda Race. After a couple of years in design and manufacture it is fantastic to see the finished product on the water. 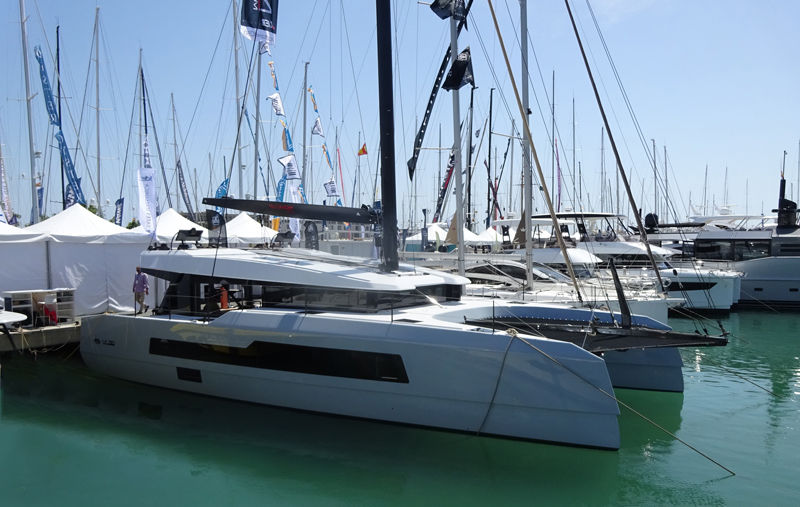 Thank you to Yachting World for putting together this fantastic walk-through of the MC50 Catamaran Launched at the La Grand Motte Boat Show late last week! Yachting World will take you into every corner of the boat and discuss many of the key features such as the custom hydraulic centreboard system, unique flybridge and "absolutely enormous" living space. We certainly agree with the closing remarks that she is an "appealing combination of performance yacht and a comfortable cruising boat"! The MC50 Catamaran, designed by Ker Yacht Design for McConaghy Boats, has been presented at the Palma Boatshow, creating huge interest both among potential buyers and amongst the yachting industry. Next step the sea trials, during which we'll be pushing it hard to make sure it performs as expected, following which McConaghy Europe will be working through their long customer sail test schedule, which includes customers for all of the sizes in the Ker Designed MC Multihull range. Thanks to UK brokers Ancasta for photo. Members of our design team visited the show to see the result of their hard work and gain the insights of the brokers and potential buyers. 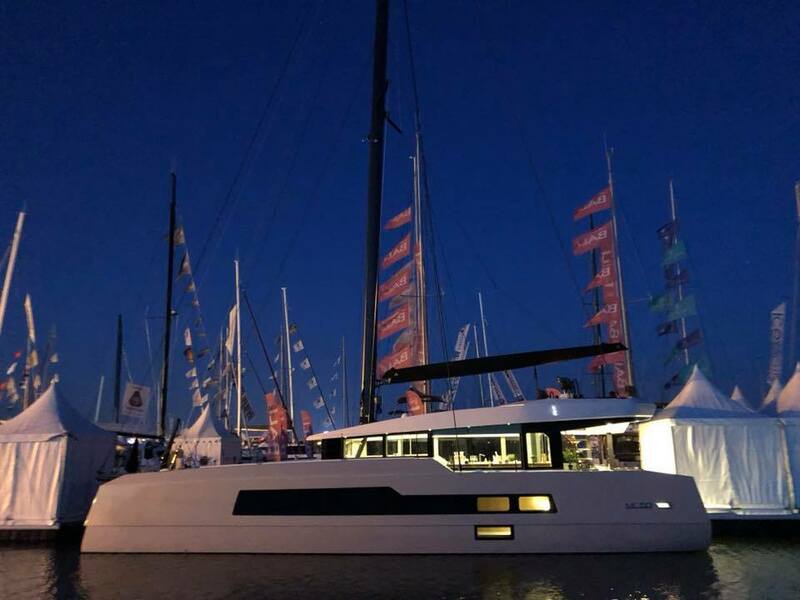 MC50 Catamaran #1 attended the Grand Motte Multihull Boat Show in Montpellier, fresh from the factory. Fortunately Ole John of McConaghy Europe had assembled a large team of expert multihull brokers to show off the boat, as it created a storm of interest, with the words "star of the show" mentioned more than a few times by customers and competitors alike. Lady Mariposa win Class 0 in the RORC Overall series. A huge congratulations to Lady Mariposa for winning the 2017 RORC Class 0 Championships by a comfortable 16 points from the Canting Keel Maxi - Rambler! We look forward to working with you over the winter months to build upon 2017's successes. Congratulations to Sir Keith Mills and the Invictus crew for winning the 2017 FAST40+ championships. After sailing a consistent season so despite a challenging start to the final race of the championships they overcame a strong challenge from Girls on Film. We wish Sir Keith Mills all the best in the future as he takes a year out from the class. Invictus wins the FAST40 Class in the 2017 Round the Island Race, for the third year in a row. Congratulations to Sir Keith Mills and the Invictus crew for winning the 2017 Round the Island race (FAST40 Class). The 56 nautical mile course which took crews 6 hours to complete was very closely fought with 9 crews finishing within 18 minutes of each other. Steve Manning, Anthony Root and the Black Baza Team have had a phenominal season bouncing back from the unfortunate loss of Wala Wala 2 in 2013 (Steve Manning) and narrowly missing out on the 13-14' AYGP by 1/2 a point (Anthony Root). 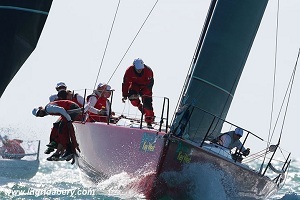 With the boat launched only a few days before the start of the season they really set a precedence for the season with a 2nd place in the RHKYC China Coast Regatta and winning the Hing Kong to Vietnam Race. We look forward to their 2016 - 2017 season! A huge congratulations to Steve Manning and Anthony Root on winning the Audi Hong Kong to Vietnam Race overall, with their brand new Ker 42 'Black Baza' and just three weeks after it left the McConaghy Yachts yard, across the water from Hong Kong. Already leading its class after a few hours of upwind work after the start, Black Baza started to dramatically stretch their advantage offwind until they had a lead over the second boat of their class of over 60 miles. 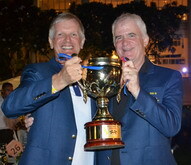 We wish Stephen, Anthony and their team continued success on the Asian yachting circuit. Many congratulations to Marcel Liedts and his team on their new Ker 46 'Zannekin', class 1 winners of the Audi China Coast Regatta. Anthony Root and Steve Manning also put up an excellent performance achieving second place in their first regatta with their new Ker 42 'Black Baza', ahead of Nick Burns and Fred Kinmonth in their Ker designed Sydney GTS 43 'EFG Mandrake'. 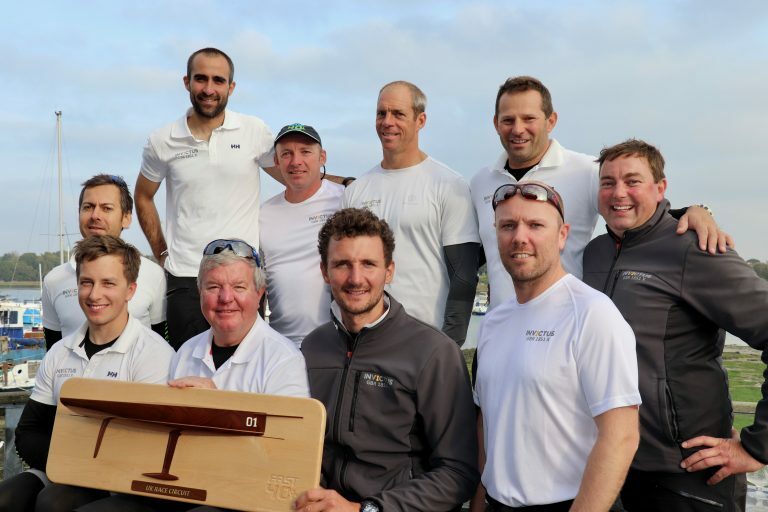 Sir Keith Mills' new Ker 40+ 'Invictus', was the standout performer at the first ever 'Fast 40' regatta, winning four of the first five races in light and moderate conditions. 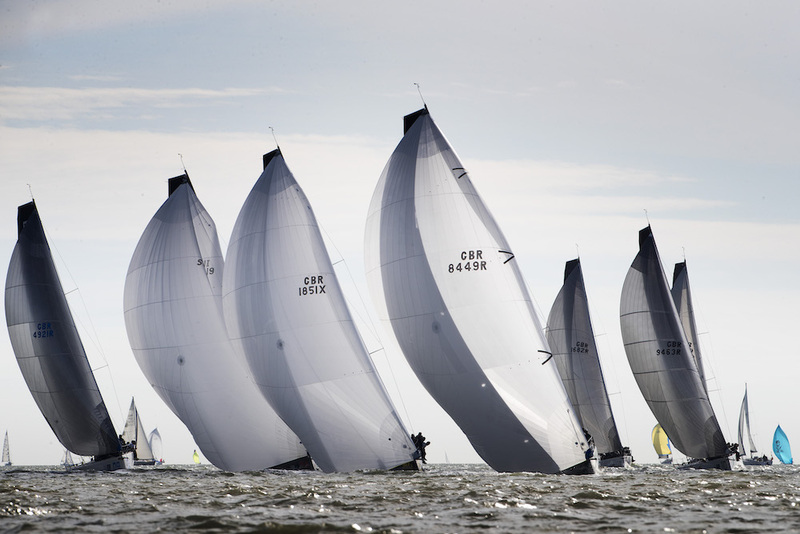 At least eight of the high performance 38' to 42' boats will be racing each other in the UK next season. 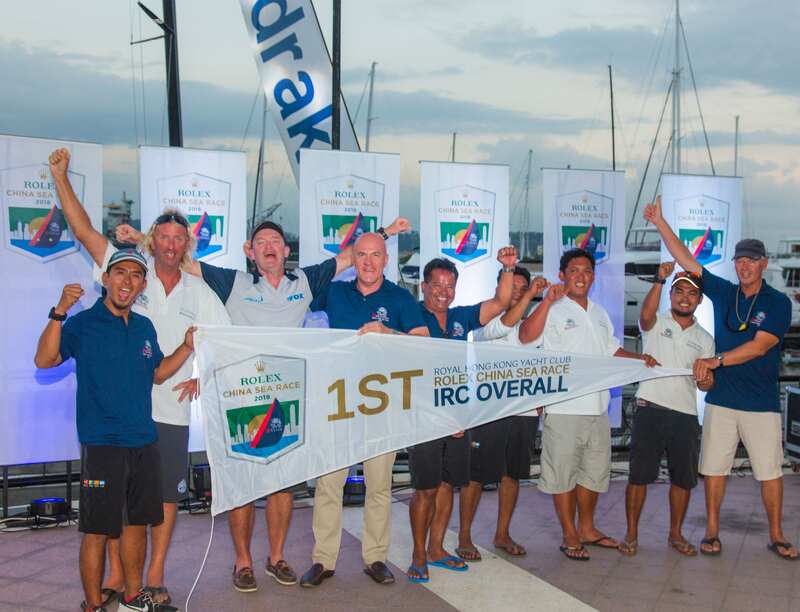 Congratulations to Bastiaan De Voogd and to the rest of the Coin Coin sailing team, Netherlands IRC Champions for 2015. Coin Coin won all the inshore races as part of an impressive performance. 1st place in the 52 boat Class 1 fleet was won by Samuel Prietz's Ker 39 'GOA'. Five of the top eight in sub class 1a were also Ker Designs. Piet Vroon achieved second place in class 0 and Concise 8 had us on the edge of our seats for days with a great performance in Class 40 fleet, up against the highly experienced 'Tales' crew, the two boats dominating the class in their private match race to the finish, Concise finishing second on this occasion. Congratulations to Piet Vroon and the crew of his Ker 51 'Tonnere', class 0 winners. The battle of the 40 footers was won by Sir Keith Mills in his new Ker 40+ 'Invictus', second place in the class, with Bastiaan De Voogd's Sydney GTS 43 'Coin Coin' not far behind in fourth, the first racer-cruiser. A tidy performance by Anthony O'Leary, sailing his turbocharged Ker 40 Mk1 brought them victory in Class1A, the 'Fourty Footer' class in trying conditions. A very close second in this 'three races to count' series was Sir Keith Mills' new Ker 40+'Invictus', which won the breezy 'UBS Round the Island Race' in a dominant fashion, also beating the TP's and Maxi's on corrected time. Congratulations to Piet Vroon on winning Class 1 in his Ker 51 'Tonnere'. This result marks five years in a row that Ker designs have won Class 1 and brings our total of overall wins in Class 1 (or 0 as it used to be) to nine out of the last twelve years. Many congratulations to Piet Vroon on becoming Overall RORC Champion for the third time in his Ker 46 Tonnerre and also to Andrew Pierce who became the Class 1 Champion in his Ker 40 Magnum III. 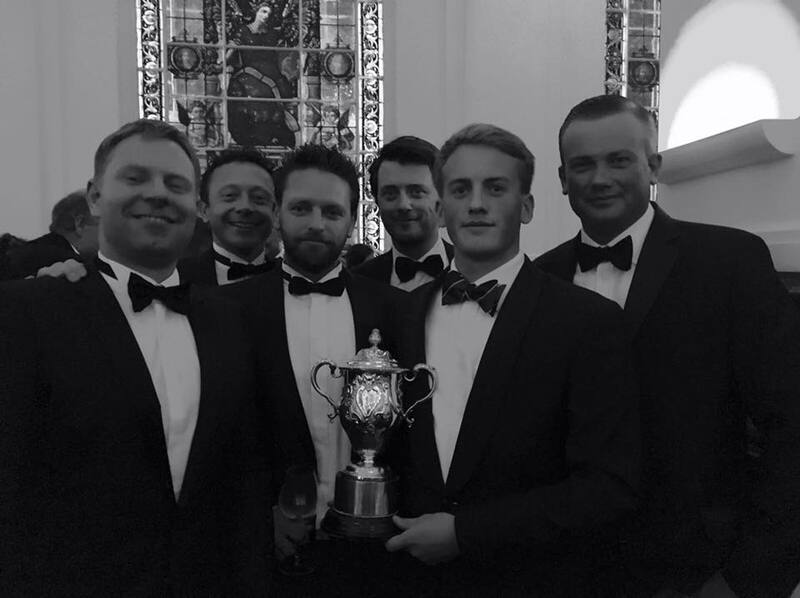 Congratulations to Piet Vroon on winning the RORC Morgan Cup Overall in his Ker 46 Tonnerre and also to Andrew Pearce and Edward Broadway coming second and third overall in the 101 boat fleet in their Ker 40's 'Magnum III' and 'Hooligan VII' making it another all Ker designed podium. 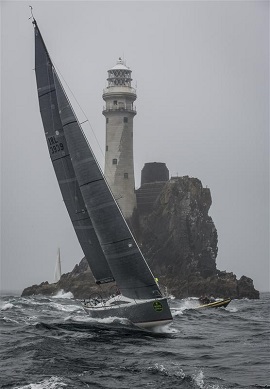 Congratulations to Andy Williams, winning Irelands' Soverigns Cup with his Ker 40's 'Keronimo', with an impressive six race wins in his scoreline. Congratulations to Edward Broadway on winning the RORC Myth of Malham Race Overall in his Ker 40 and congratulations also to Ker 40 'Magnum III' and Ker 46 'Tonnerre' coming in 2nd and 3rd overall, making it an all Ker designed podium. A great weekend for the office with seven of the top nine overall being Ker Designs! Piet Vroon wins the RORC North Sea Race Overall in his Ker 46 Tonnerre, congratulations to Piet Vroon and his team. Another 1, 2, 3 in class 1 for the Ker office with Ker 40's Baraka GP and Hooligan VII finishing 2nd and 3rd. Andrew Pearce is winner of class 1 in the RORC Cervantes Trophy, in his Ker 40 Magnum III, followed by Piet Vroon's Ker 46 "Tonnerre" in 2nd, Edward Broadway's Ker 40 "Hooligan VII" in 3rd and defending Overall RORC Offshore Champion Laurent Guoy coming in 4th in his Ker 39 "Inis Mor". 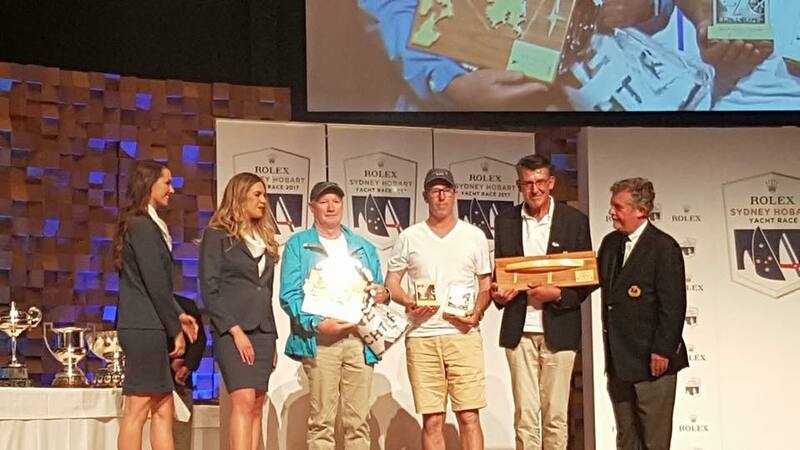 Andrew Pearce; winner; class 1; RORC; Cervantes Trophy; Ker 40; Magnum III; Piet Vroon; Ker 46; "Tonnerre"; Edward Broadway; Ker 40; "Hooligan VII"; Laurent Guoy; Ker 39; "Inis Mor"
Ker Yacht Design has been awarded "Best Yacht Designer in Asia of the Year" at the BMW Asia Boating Awards 2013, following a busy 2012 with new launches and new projects commencing at McConaghy Yachts in Zhuhai. Congratulations to Marc Glimcher, winner of the 40' IRC class at Key West Race Week in his Ker 40 "Catapult". On the right a great pic of Catapult powering upwind by Ingrid Abery and an interview of Tactician Geoffrey Ewenson during the regatta. A re-score under the new release of the ORCi rule also put Catapult at the top of the leaderboard (with closely packed corrected time spreads behind), going some way to justify the Ker 40's recent Sailing World Boat of the Year Award in the category of "Best Handicap Racer"
Marc Glimcher; winner; Key West Race Week; Ker 40; "Catapult"
Announcing the new "Forty One Design" by Team Concise. The product of our most advanced and extensive R&D effort to date, this is a state of the art Class 40 built to built to strict one design rules by McConaghy Yachts. 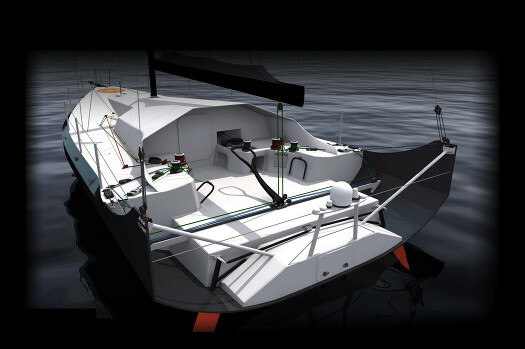 Having campaigned two production Class40 yachts, Team Concise decided to commission their own fully-optimised race boat from Ker Yacht Design, making it available as a one-design Class40 to enable sister ships to race in a global arena on a level footing in addition to racing against other class 40 designs. More details at www.forty1design.com. Detailed articles about the project in February issue of Seahorse Magasine and The Daily Sail. Storm Trysail Club's "Boat of the Year Award"
Contratulations to Larry Dickie, owner of Ker 43 "Ptarmigan" for winning Storm Trysail Club's "Boat of the Year Award" as well as winning the Northern Ocean Racing Trophy (distance race cumulative pointscore). Ker designs are 1st and 2nd in Rolex Sydney to Hobart Race division - Warwick Sherman wins his division in the Rolex Sydney to Hobart Race in his Sydney GTS 43 'Occasional Coarse Language', after a tough battle down the coast of Tasmania with Ed Psaltis in his Ker 40 'AFR Midnight Rambler', who came second. Warwick was joined for his first Hobart race by Anthony Patterson who brought along some of his old team from the Ker 11.3 'Tow Truck', formerly a double division winner in the Hobart Race. 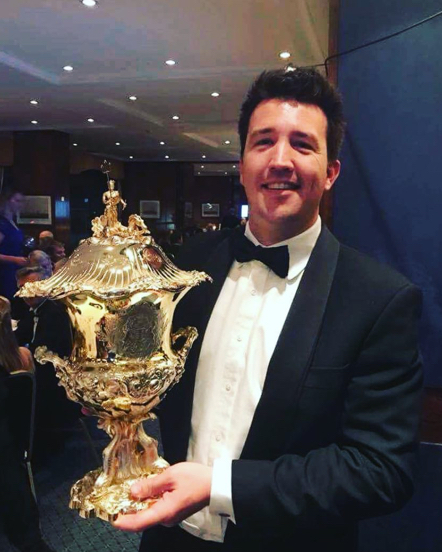 Many congratulations to Warwick for beating the formidable opposition in his division, not just the Ker 40 but also many other highly successful racing yachts from Australia and further afield.